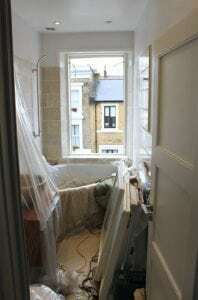 Replacing your windows is an undeniably messy job; there’s 100 year-old dust and cobwebs, splinters from the timber and plaster from the disturbance of the wall. Whilst this is unavoidable, we also feel that this is no excuse. Core Sash Windows therefore has a comprehensive dust protection service to help minimise the disruption to our customer’s homes. The first step is for our team to put their dust sheets down on the areas that they’re going to be working. 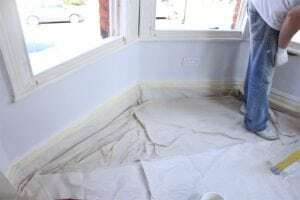 This protects your carpet from the dust generated by the installation, and the wear and tear that comes with a team of workmen working in your home. We’ll make sure that it’s taped in place so that it doesn’t get moved around, and we’ll clear it all up at the end of the day. Floor protection is just one part of the protection service that we offer. Wherever possible, we’ll also use floor to ceiling dust protection, using props to secure the dust sheets. 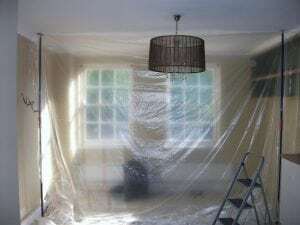 No matter how well the floor is protected, the dust that comes out of the old frames will spread all over the room, so the best thing to do is either seal the area with protective sheeting, or cover the other items in the room. Again, this will be cleared away at the end of the day. We vacuum every disturbed room at the end of every working day, and provide a comprehensive clean prior to leaving site at the end of the installation. Once the vacuuming is done we’ll take care of any other mess, and your rooms will be liveable throughout the installation. Indeed, most of our customers choose to remain in the property throughout the installation. 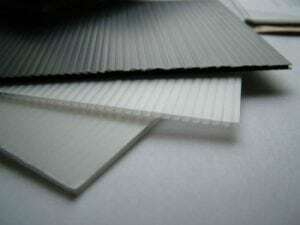 If you have tiling or wooden flooring, we’ll need to lay down a few sheets of Correx. We all have heavy tools and move heavy products through the home, so it’s imperative that any surfaces that could conceivably get chipped or dented are well protected. If there’s the potential to damage something we’ll protect it, but if you have any concerns about any particular item in your house, please let us know! Your site manager will be your point of contact for dust protection and cleaning, and will be available for a conversation any time. After all, good communication is the key to having a smooth and stress free installation. 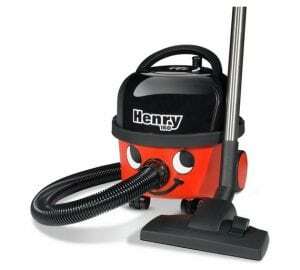 Now you’ve got a better idea of the kind of service we’re offering, why not get yourself a quote for the work?